The federal government, in order to wind down mortgage giants, is collecting all profits generated by Fannie Mae and Freddie Mac—a move some say may backfire by providing the federal government a source of revenue that Congress will be hard-pressed to let go. The Treasury announced in August that it would take all profits from the two housing giants in "a quarterly sweep of every dollar of profit that each firm earns." This "quarterly sweep" is an effort to recoup money that the federal government has loaned Fannie and Freddie, starting with the 2008 bailout. The federal government took over Fannie and Freddie in September of 2008, in the middle of the housing crisis that brought down the economy. Since then, the two firms have struggled to regain profitability, only recently making money on their investments. The federal government has loaned the two firms almost $200 billion, with the expectation that they would eventually repay the money. The Treasury argues that the policy shift, along with mandatory portfolio reductions, is a step toward ensuring Fannie Mae and Freddie Mac will "not be allowed to retain profits, rebuild capital, and return to the market in their prior form." However, a former Fannie Mae official pointed to a potential problem in the "quarterly sweep": Fannie Mae and Freddie Mac could become a revenue source for the government, making it very difficult politically to end the two institutions. Edward Pinto, former chief credit officer at Fannie Mae and a housing finance expert at the American Enterprise Institute, warned that because the money will be flowing into the Treasury, "If you don’t do something quickly, Congress could get used to this." Congress has used Fannie and Freddie’s profits to fund their legislation in the past, Pinto said. He pointed to legislation from Congress late last year that raised fees at Fannie and Freddie for 10 years in order to fund a two-month extension of the payroll tax cut. Pinto raised two concerns about Fannie and Freddie’s current scenario. First, the revenue from Fannie and Freddie is "all off-budget," he said, making it especially vulnerable to opportunistic lawmakers searching for funds. Second, because Congress makes 10-year budget projections, Congress could begin to plan for the money flow from Fannie and Freddie, making a complete wind-down of the two firms—with a corresponding loss of projected revenue—politically distasteful. If the Treasury begins to regularly collect money from the two firms, Congress "will have to adjust in some way for that loss of revenue," said Peter Wallison, a former general counsel to the Treasury Department and a finance expert at the American Enterprise Institute. Pinto noted that there has been significant support for reducing Fannie and Freddie’s control of the housing market. The Treasury’s position has been that "Fannie and Freddie need to be wound down," Pinto said. They were "too powerful," he said, even stronger than the government itself, "and you don’t want that to happen again." The government wants to reduce the two firms, and one way is to decapitalize them by keeping them from accumulating any profits, he said. However, Pinto noted, "We still have to deal with the issue of what to do with Fannie and Freddie ultimately." 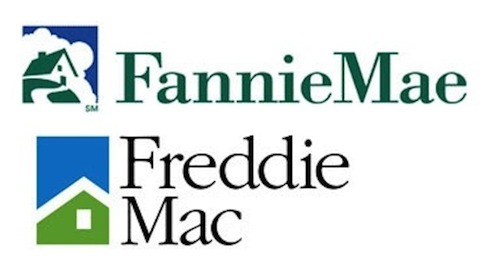 David John, a finance expert at the Heritage Foundation, said that the current relationship between Fannie and Freddie and the federal government is "unstable." A conservatorship—where the government steps in to conserve the institutions—is not a permanent solution, but a stopgap until lasting changes can be made. But, John noted, the government cannot make any fundamental changes to the two institutions without congressional approval. John agreed that there is a risk "potentially in the long run" of the government growing to rely on the funds. Right now the government is focused on recouping the bailout money, and "it’s going to be some time before that’s fully repaid." There is a long history of federal support for Fannie and Freddie. While the government completely took over Fannie and Freddie in 2008, placing them under the conservatorship of the Federal Housing Finance Agency (FHFA), there has always been an "implicit government guarantee" of the two institutions, said John Berlau, a senior fellow for finance at the Competitive Enterprise Institute. The two firms enjoyed "an assortment of special privileges from the government" that purely private companies would not have received, said Berlau. For example, both Fannie and Freddie enjoyed a $2 billion line of credit from the Treasury before the housing crisis, giving them capital unavailable to other, fully private firms. Berlau said that Fannie and Freddie have not made loans cheaper for individuals, but have made them "easier." Fannie and Freddie "enabled foolish loans that the private sector never would have made," Berlau said, making the two firms a "primary cause" of the financial crisis. John disagreed with Berlau on this point, however. Fannie and Freddie likely did make individual loans cheaper, John said, but he also noted that it is "too easy to stop there." "We have to remember the cost of the bailout," he said. Fannie and Freddie, because of their implicit government guarantee, have held an advantage over private companies. In an effort to fuel the private market by reducing the firms’ advantage, Fannie and Freddie recently raised the fees that they charge to guarantee home loans. "If you want private capital to come back in, you have to make Fannie and Freddie less competitive," explained Mark Calabria of the Cato institute. Berlau doubted that the higher fees would necessarily generate more revenue, as the higher prices could drive individuals to private companies. However, Pinto explained that other government agencies—such as Veteran Affairs or Agriculture—could also pick up the business since they run housing programs as well. Calabria doubts the government ever will be able to recoup the money it loaned to Fannie and Freddie. "More likely than not, most of that money is down the drain," he said. "I have strong doubts" that the government will recover the bailout money, he said. Calabria also doubts that it will be possible to simply reduce Fannie and Freddie and turn them over to the market. "It would be hard to privatize them in a way that is credible," he said. Wallison indicated two possible ends for Fannie and Freddie: either they will become government agencies, or the government will gradually eliminate them as the private sector takes over their historic roles. Fannie and Freddie—and their relationship to the U.S. government—are "at a fork in the road," Pinto said. This entry was posted in Politics and tagged Fannie Mae, Freddie Mac, Loan, Obama Administration, Treasury Department. Bookmark the permalink.